Music Composition is offered through the Division of Music in the Warren M. Angell College of Fine Arts. All students within the division study music theory and history, develop skills in a primary and secondary musical area, have multiple solo and ensemble performance experiences and are guided by faculty members who are professional, compassionate and committed to the call of Christ. The Bachelor of Music in Composition offers individual instruction, opportunities for creative expression and collaboration with others as part of a comprehensive music degree program. 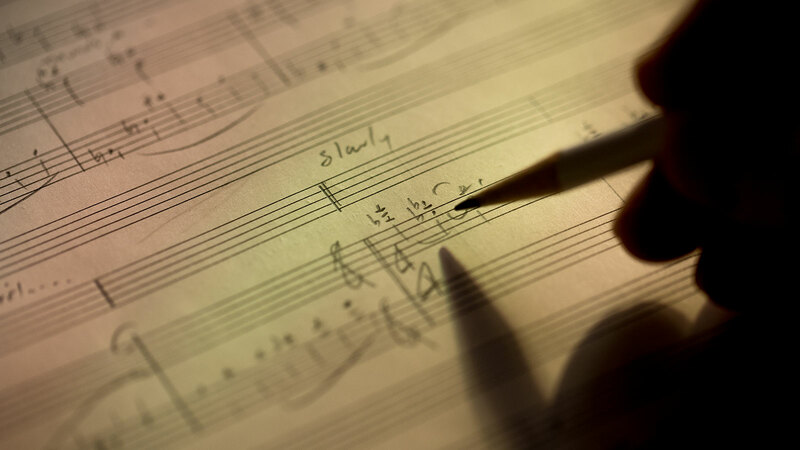 What makes an OBU Music Composition degree special? The Bachelor of Music in Composition is primarily focused on preparation of students for graduate programs in composition or other music-related fields. However, graduates have used the degree as a springboard for many different career choices. Students pursuing a degree in composition take composition classes, private composition lessons and courses in counterpoint, orchestration, style analysis, contemporary analysis and introduction to synthesis (electronic music). Emphasis is placed on writing music for various configurations and in different styles with unique opportunities for one-on-one study with professors and the performances of students’ original works. What are OBU grads doing with their Music Composition degrees? Recent graduates are attending graduate school in music composition, attending seminary, teaching in higher education, working with professional orchestras, composing music for films and videos, teaching music in public schools, working in churches and studying or working abroad. Learn more about our Music faculty.